Need to get away from it all? Welcome to writer heaven. 20 minute taxi from a mainline station (Newton Abbot in Devon). (Unless you want to share with a friend/partner – supplement applies). Just days on end of blissful writing to focus on your own project. Arrive at 6pm on your first day and leave at 4:30pm on the last day to maximise writing time. No cooking, no cleaning. I look after you so that you can focus on writing. 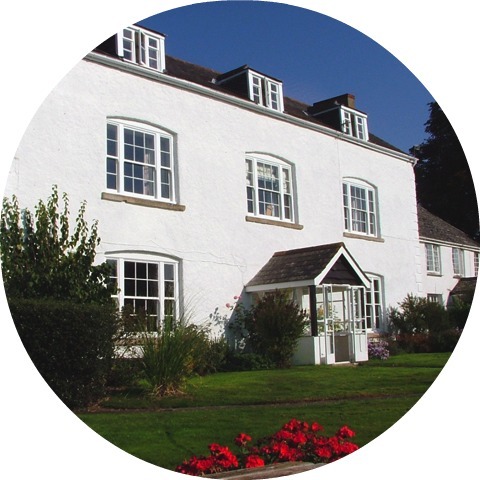 The Country House (near Newton Abbot in Devon) is a comfortable, charming farmhouse that has a perfect mix of peace to write combined with sociable meals. You can work in your room, the spacious dining room or the cosy lounge, where the window seat is a particularly good spot. Once you’re done, go for long walks and admire the views, visit the farm animals or take a long bath with a good book. What you don’t need to do is worry about the washing up or your to-do list. Your time is all your own to immerse yourself in creative work. Well, except for the odd donkey/cockerel. It’s the countryside, after all. Bedrooms range from cute little singles to huge kingsizes with claw-foot bathtubs. And no need to share. Working alongside others in the shared workroom is incredibly productive, but you can always find a quiet corner to yourself. Dates go up in batches, so pop your details in the big turquoise signup box below to hear about new dates. They do sell out fast and writers who have been before get priority booking. There’s a pricing table underneath the current batch of dates. Only dates listed here are available, sorry. If you want to be added to a waiting list for a sold-out session use the contact form to let me know. 6 or 3 night retreat. Arrival is at 6pm on the first day, departure at 4:30pm on the last day. 4 night retreat. Arrival is from 6pm on Monday, departure at 10am on Friday. 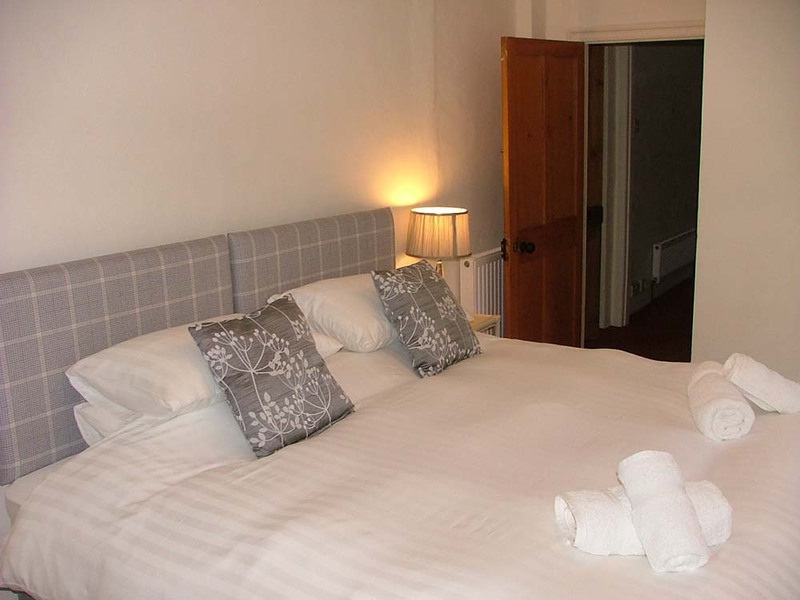 Please look at the detailed descriptions of the rooms below before booking. 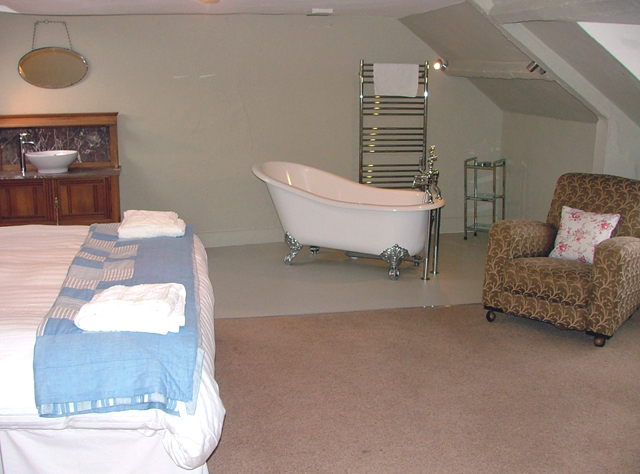 An en-suite double in the attic, all for you. 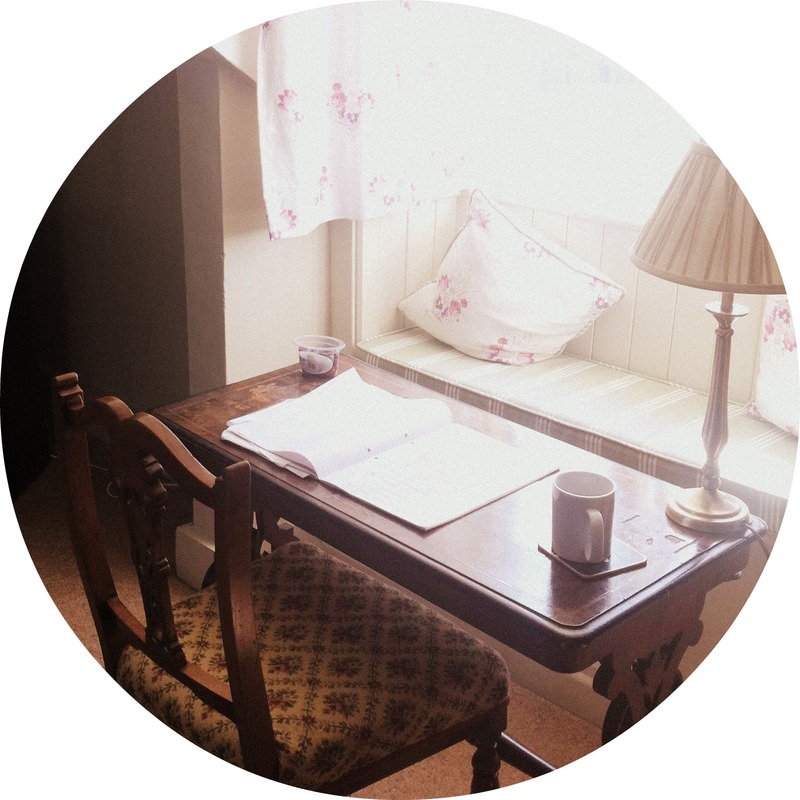 It has a huge kingsize bed, an armchair and a table you can write at. 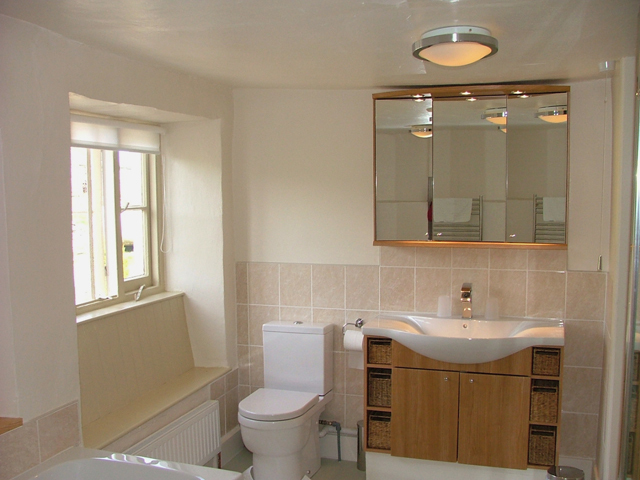 There’s also a little window seat and a bathroom, including a free-standing slipper bath with hand-held shower. An en-suite double in the attic that’s all yours. A large family room with an en-suite bathroom, all to yourself. It has a kingsize bed, a single bed in the corner, a sofa, armchairs and a big window seat. A smallish room above the kitchen at the back of the house. This means you do get noise from the kitchen and the wifi doesn’t work properly in this room, so it’s perfect for people who like working in cafes, want to escape the distractions of the internet or intend to write in the work room but not great if you’re very noise-sensitive. It has a brand new king-size bed and its own bathroom with a deep bath (no shower). 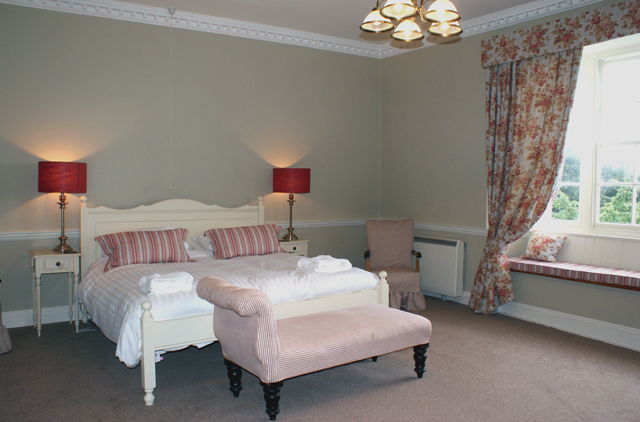 A huge room with a kingsize bed all to yourself, a chaise-longue, window seat and an armchair. There’s also a small table if you’d like to write in your room and shared bathrooms (two bathrooms between three rooms). A pretty single room with a huge window. It’s small, with a single bed and shared bathrooms (two bathrooms between three rooms). A cosy attic room with a little window seat. 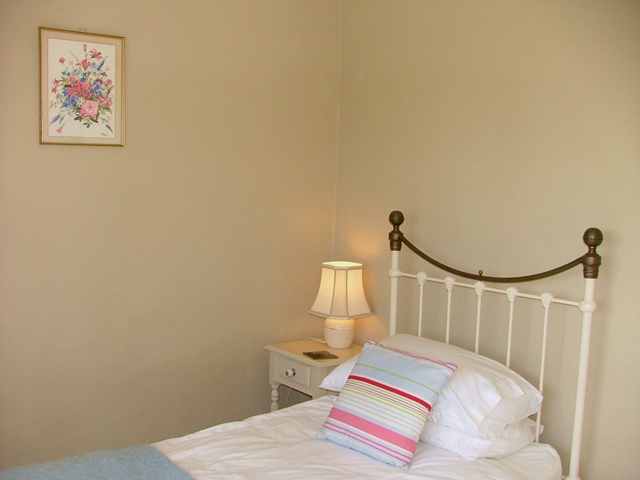 It’s small and sweet, with a single bed and shared bathrooms (two bathrooms between three rooms). Three bedrooms share two bathrooms, so there’s never a rush. Rooms are first come-first served. I’ll do my best to allocate you the type of room you request, but you’re asked for 2 choices and I’ll let you know the options if there are any problems. Please make sure you check availability before filling in the booking form. Once you’ve booked, I’ll email you (this can take a few days) to confirm I’ve got your request and to send an invoice, and you’ll then have a week to transfer the money in order to secure your room. Rooms can’t be held without payment. 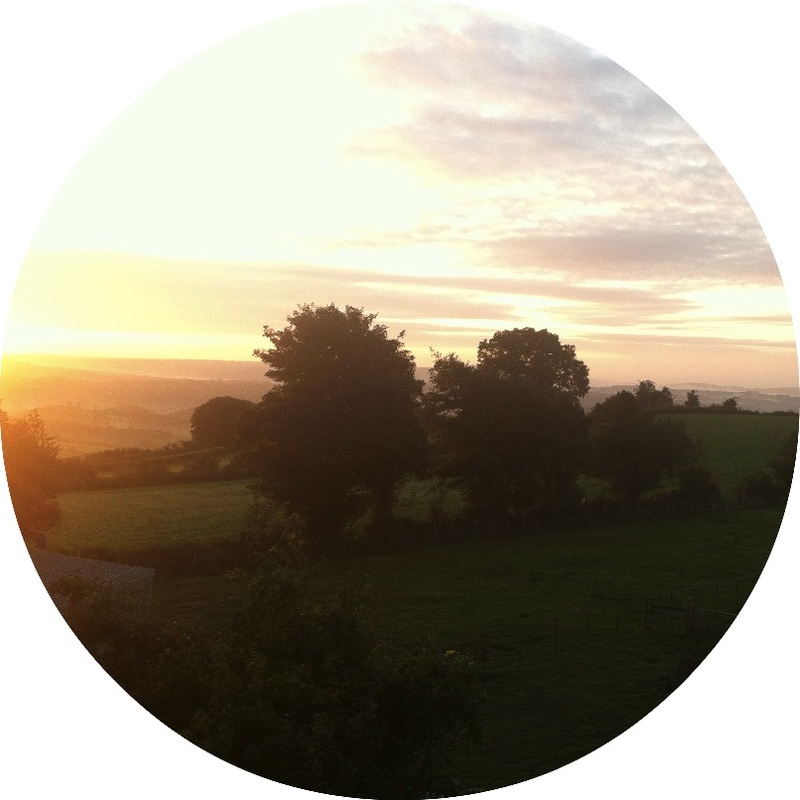 Cancellations and date changes must be made six weeks ahead of your retreat start date for a refund. If you cancel or change dates between three and six weeks ahead of your retreat date you’ll be entitled to a 50% refund. After this date, no refunds or changes are possible. All cancellations and booking changes are also subject to a £30 admin fee. Please make sure that you have travel insurance in case you’re unable to come to the retreat at the last minute, have trouble on the journey, etc. You’ll arrive in the evening of your first day (from 6pm) and you may have to vacate your room after breakfast on your last day so that your room can be prepared for new arrivals, but you don’t have to leave until 4:30pm so that you get the maximum possible writing time. Please note that I’m a home cook and can’t deal with severe food intolerances or particularly difficult requirements. If you think you might fit into this category, please contact me before booking. Yes. If you’d like to share, see below. Is there a room-sharing discount? Most people don’t want to share with a stranger, so I don’t offer this option and the prices are all for one person in each room. 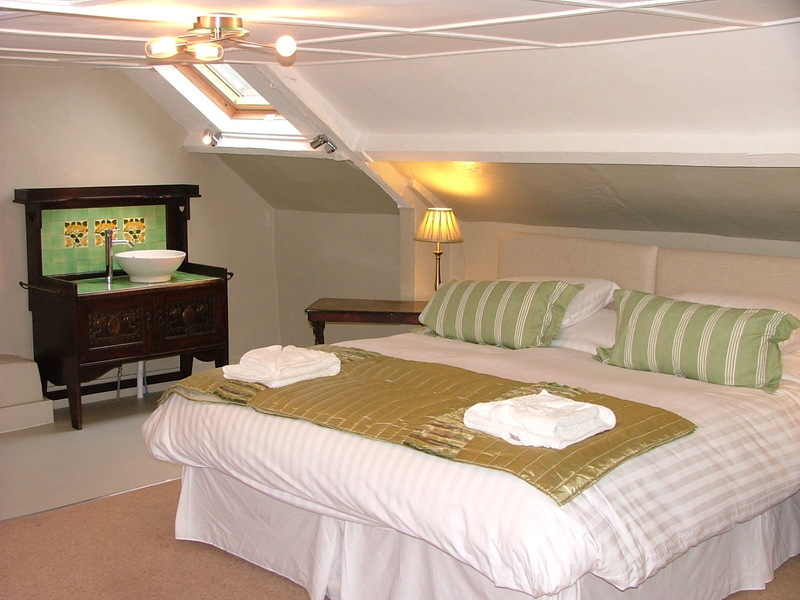 However, if there is a suitable room available and you want to share a room with a friend/partner, the second person comes at a discounted price of £150 per 3 nights (I can split the invoice however works best for you). 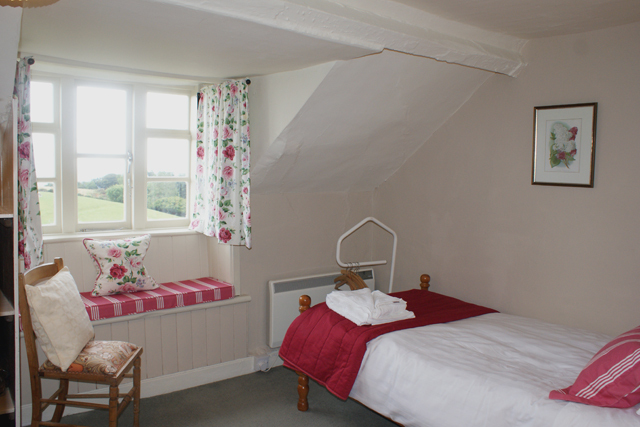 Rooms 6 or 7 would be great for couples, but be aware that the en-suite toilet has a curtain rather than a door. Room 5 is perfect for sharing as it has a king-size bed and a single, room 4 works if you are sharing a bed (or I can arrange a single camp bed) and room 3 can have twin beds but is small. It’s a comfortable 7-bedroom grade II listed farmhouse with a large dining room to write in. 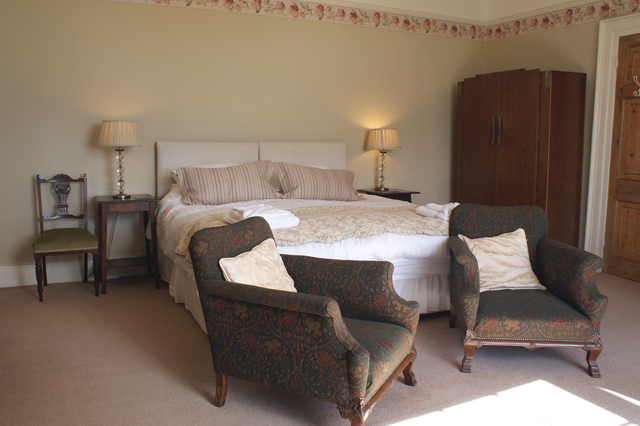 Think country-style and relaxed – it’s lovely and homely rather than 5* luxury. Being so old, it’s also pretty creaky and you will be able to hear people walking overhead or talking loudly. I ask people to be considerate of noise for this reason. I’m really sorry, but the house isn’t accessible or wheelchair-friendly. It’s on a steep hill and has many stairs (the attic rooms are up quite steep stairs). 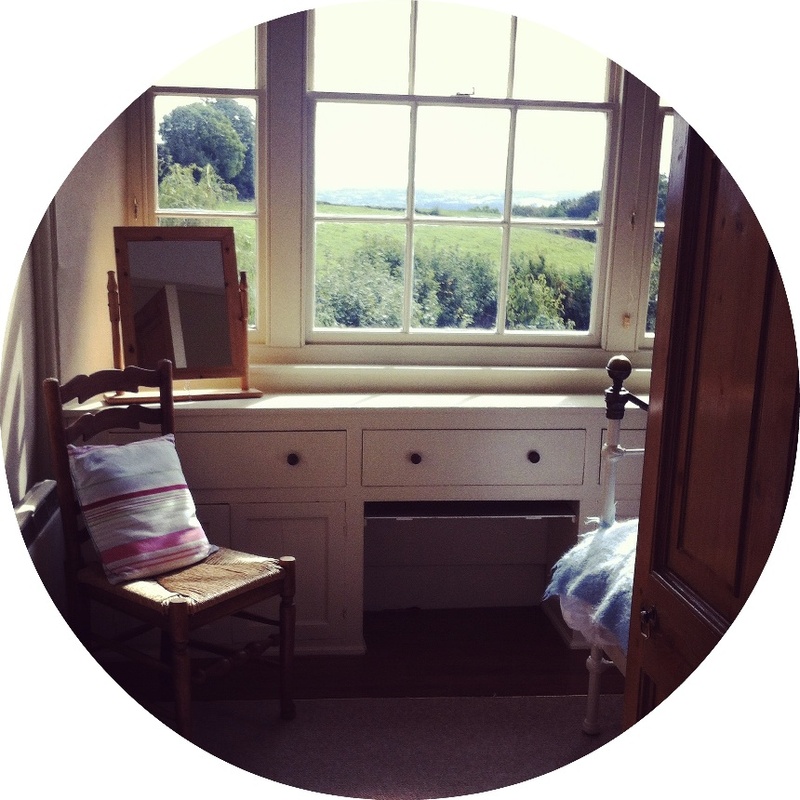 I’d love to run retreats in an accessible house, so if you know of one I might be able to hire with at least 6 bedrooms that might work for a retreat, please let me know! Can you deal with my food allergies/intolerances/weird aversion to broccoli? I’m an untrained home cook, and I can’t deal with severe intolerances or allergies, or with any other serious medical issues. If you have difficult food or medical requirements, you’ll need to contact me before booking. If you’re not sure if your needs count as difficult, please click the booking button and fill in the form but also email me. I’ll do my best to fit around people’s needs and dislikes because I’d much rather serve food that people can eat and will like, but it isn’t always possible. I figure that I’ll do my best but that you’ll understand if I still go ahead and serve your pet hate because, you know, you understand that juggling lots of food requests isn’t easy and anyway hating broccoli is weird. Broccoli is amazing. If there’s ever a meal you don’t like though, you’ll always be very welcome to make yourself egg on toast. Believe me, nobody’s going to starve around here. Er, how about you tell me about the writing now? Okay, fiiiiiine. Your schedule is entirely your own, but the house is quiet for writing from 9am-6pm with breaks for lunch and cake. There’s a large dining room that we use as a writing room, and most rooms can have some sort of table to write on. There’s also a living room, or you can write in the kitchen. There are no classes or workshops, just time and space for you to settle down and focus for an extended period of time. This retreat isn’t about you learning how to write, it’s about getting it written, it’s about your project and giving you the space and support to actually do it. Start work early, spend long hours walking or reading in the bath, whatever you fancy. Evenings are free and we can arrange readings on request, but most people prefer to chill out; there’s a DVD player and a games barn, and a pub within walking distance. No chucking out at 10am! You can arrive from around 6pm on your first day, and can leave late afternoon (around 4:30pm) on your last day so that you get as close to a full day as possible on your last day to write. If you are leaving mid-retreat (i.e. if you come just for the first 3 nights) you will need to vacate your room at 10am so it can be cleaned, but the work room is still all yours. It is NOT normally possible to arrive early – sometimes people ask if they can come at, say 3pm. If it’s the start of the week I won’t have been able to get into the house and prepare so it isn’t possible. If you arrive half way through, that day is writing time for the departing writers and I don’t want them to feel pushed out. I’m sorry that may not be the answer you’re looking for, but I hope you understand that there are good reasons. The house is a 20-ish minute taxi ride (7 miles) from Newton Abbot in Devon, which is on the main train line between London and Paddington. I’ll put you in touch with the other writers so that you can try to arrange taxi shares. I’ll also send directions for anyone driving – please use these rather than SatNav (or at least check it isn’t taking you up the tricky road).